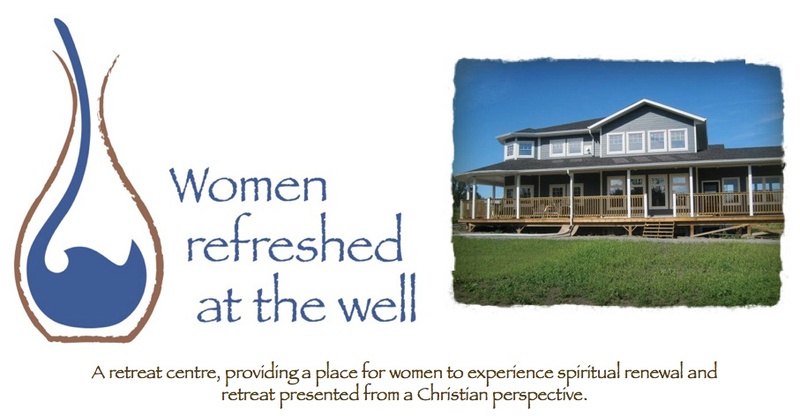 Women Refreshed at the Well: blessed! As I write this, I am thinking back to today, when I was able to spend some time with J. as she retreated in our home. At one point, God moved me to tears, and all I could do was give her a hug. I don't usually cry with those who come to take a spiritual retreat in our place. But I was very moved today. You see, right now, it is "work" whenever someone comes to retreat. However, as I get up early to make breakfast, or as I set the table and spend time choosing which china to use, or where to set them for their meal, or when I fall into bed at the end of the day - tired but feeling extremely blessed because I know that THIS is right where God wants me. This is what He spoke to me about in 2000. This is what I "fastened my seat belt for" and it has been a ride which I just sense - is still continuing. It is quite a feeling to feel that you are doing what God has called you to do. Quite a feeling! But the thing that continues to blow me away - is how I am SO BLESSED with each and every person that comes through the door to spiritually retreat! SO BLESSED. I am currently taking the fourth of four courses in Soul Care under the direction of Dr. Larry Crabb with NewWay Ministries. I think having a SoulCare certificate will be an asset to the ministry. I will finish my course and then go to spend an intense week in Colorado Springs, being taught by Dr. Crabb once again. I can hardly wait! And I believe that this training and understanding how to be a SoulCare provider - will be something that God has already been using in my interaction with people. It is quite something to just "turn your chair toward one another" as Dr. Crabb describes it. I think that some of the blessing that I have already received, comes from the fact that I get to pray for the person coming. And throughout their stay - I can pray. Praying is like breathing. And I am so glad that God has called me to this aspect within the ministry. I laugh at times about how God is making me into more of a "Martha" while being a "Mary" at the core of my being. I don't think I really had a clue about how much he would grow the love for this ministry He has called me to, in my heart. It is really happening. After 13 years - I continue to be in awe of what God has been doing - and what He has in store - only He knows. But, as we continue to enjoy the "ride" - I know that I will continue to thank God for the blessing of each woman that comes through the door (and perhaps even some men!) I will continue to count my blessings!! I will continue to thank God that I love to intercede on behalf of others, and to pray. I will continue to pray for people - as I set the table for their meal - or as I get their bed made and room ready for their arrival - or as I witness them being renewed through the setting - I will continue to be blessed. God is on the move here at Women Refreshed at the Well ... and He continues to take my breath away! That is my word for today. Imagining the Garden retreat space! !